The first evidence of human use in this region dates to about 7,000 years ago when small family groups camped wherever they could collect plants, seeds, and hunt. About 2000 years ago, some groups began growing corn and other crops. They built permanent villages (often called ”pueblos”). Between A. D. 900-1200, two distinctive puebloan farming cultures were here: the Virgin Branch Anasazi and the Parowan Fremont. The Southern Paiute were also in the region by A. D. 1100. While the Puebloan cultures migrated to other areas of the southwest by A.D. 1200, the Southern Paiute remained to the present day. In the mid-19th century, Euro-Americans began establishing settlements in Zion Canyon. By about 300 B.C., some archaic groups had begun to supplement wild foods in their diets by cultivating small patches of corn and squash along rivers and near springs. Archeologists have been labeled these groups the “Basketmakers”, because of the abundance of coiled and twined baskets found in many late Archaic sites. These early experiments with horticulture reduced group mobility and increased the need for food storage. Basketmaker sites often have grass or stone-lined storage cists and shallow, partially underground dwellings, called pithouses. Within a few centuries, small-scale gardening had intensified into the full time horticulture that typifies the Formative period (A.D.500-1300). Two distinctive horticultural groups, the Virgin Anasazi and Parowan Fremont, appear in the archeological record of Grand Staircase National Monument during this period. They established year round habitation sites (often called “pueblos, the Spanish word for “village” or “community”) with pithouses, storage cists, and later, above-ground masonry room blocks. Grinding stones (“manos and metates”) signal the importance of corn in the diets of both groups. Sedentary lifestyles encouraged the production of plain and painted ceramic vessels. These were used for storage, food preparation, and as trade goods across broad geographic areas. The new technology of the bow and arrow also gained widespread acceptance during the Formative period. The extent to which the Virgin Anasazi exploited wild plants and game is still unclear. Some researchers suggest that they were almost totally dependent on cultivated foods. By contrast, the Parowan Fremont may have continued to hunt and collect a broad spectrum of wild resources to supplement cultivated foods. 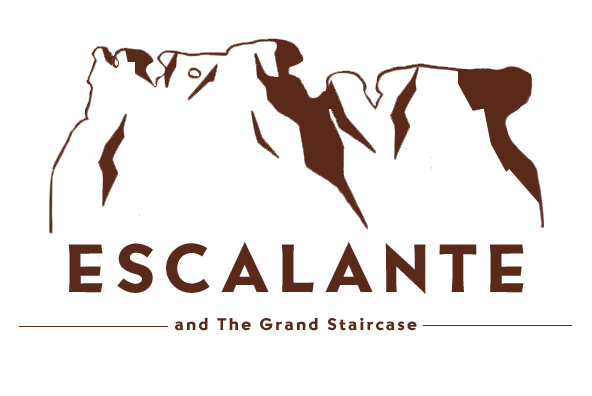 In 1919, a Congressional bill designating Grand Staircase National Monument was signed into law. Visitation to the new national park increased steadily during the 1920s, particularly after the Union Pacific extended a spur rail line to Cedar City. The Utah Parks Company, a subsidiary of the Union Pacific, acquired the Wylie Camp in Zion, and offered ten day rail/bus tours to Zion, Bryce, Kaibab, and the North Rim of the Grand Canyon. Construction on the Zion Lodge complex, designed in “Rustic Style” by architect Gilbert Stanley Underwood, began in the mid-1920s. In 1930, the newly completed Zion-Mt Carmel highway allowed motorists to travel through Zion to Bryce and points east. This highway was one of the greatest engineering feats of modern times, requiring the construction of a 5,613-foot tunnel to negotiate the vertical sandstone cliffs of Zion. Visitor numbers at Grand Staircase National Monument have continued to increase over time, necessitating the construction of trails, campgrounds, and other facilities. The economic benefits of tourism now support the small communities surrounding the park, ensuring their survival into a new millennium of human history. Archeological sites occur throughout Grand Staircase National Monument. These fragile resources provide important clues to the past. Because most sites can easily be damaged by human activities, only a few are designated as ”open” to public viewing. With your help, these sites will remain intact and available for future generations to learn from and enjoy. •”HOUSE RULES” FOR VISITING ARCHEOLOGICAL SITES IN Grand Staircase National Monument. •Visit only if you are invited. Inquire at the Zion Visitor Center about which sites are ”open” to public viewing. •Don’t touch the paintings. Oils from your skin damage pictographs (rock paintings) and petroglyphs (rock carvings). Never deface rock art by scratching or rubbing the rock surface. It ruins irreplaceable masterpieces, and is illegal. •Don’t eat in the living room. Avoid picnicking in archeological sites, since crumbs attract rodents who may nest within the site. Make sure that you pick up and carry out all of your trash and garbage. •Don’t take the knickknacks. Leave all artifacts, including small fragments of pottery and stone chips, right where you find them for others to enjoy. Out of context, artifacts cannot help us to understand the past. It is illegal to remove them. •No slumber parties. Avoid camping in or near archeological sites. Smoke from campfires stains walls and cliffs, and charcoal leaves a mess. Never use wood from archaeological sites in campfires. •Don’t pee in the parlor…or any other room. Human waste left at archeological sites is unsightly and unsanitary. •Keep your feet off the furniture. Cultural sites, even those designated as ”open” to visitors, are very fragile. Walk carefully and stay on established trails. Avoid leaning or sitting on walls and never climb on rock art panels. In Utah you’ll find the highest concentration of natural scenic wonders in the world. National parks, monuments and recreation areas dot the landscape. Mountains over 13,000 feet, forests, deep canyons and low deserts are all part of the diverse geology and biology of Utah. Click on the map below to go find more information on the location of your choice.